Incredible Contrast Breathtaking Pictures Enjoy 4K HDR entertainment on Sony's X900E with Android TV. With a full-array backlight and five times the dynamic range this television offers incredible contrast. And with the powerful performance of the 4K HDR Processor X1 it takes even non-HDR content to near 4K HDR quality. Bring your favorite movies and television shows to life in your living room with this Sony LED smart TV. Motionflow XR technology delivers clear, sharp motion through faster refresh rates, while the 4K HDR resolution highlights even the smallest details for an immersive viewing experience. Go beyond what you've seen before with remarkable 4k HDR clarity, color and contrast.Scenes are made detailed,more natural and more real with 4k HDR Processor X1, and life's brilliance is revealed with extra smooth and vibrant colors. And with Android TV, find all the entertainment you want. Play games and watch movies on this 65-inch Sony 4K TV. Its full-array local dimming delivers stunning brightness and a more colorful picture with high contrast, and the effective cable management system keeps wires hidden from sight. This Sony 4K TV uses X-Motion Clarity technology for showing smooth, lifelike action during sporting events. 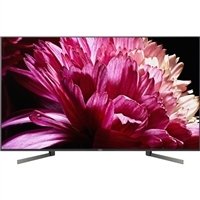 Enjoy the high quality image Sony has to offer using a 4K Resolution giving you the best resolution for your entertainment. Enjoy the bright and vibrant image using the LED Technology to provide the best in color accuracy. Connect via Wi-Fi and gain access to your favorite streaming application to include the large Sony store for additional content. make sure to check out the specification below of more details! Discover the next level of 4K HDR entertainment with the power of the 4K HDR Processor X1 and our evolved X-tended Dynamic Range PRO technology for exceptionally high contrast, detail and clarity. All in a beautifully sleek design with a refined aluminum finish. Beautiful scenery comes to life with the 4K HDR X1 Processor and Triluminos Display in the X850F 4K HDR TV. Discover incredible contrast on an OLED 4K HDR TV with 8 million self-emitting pixels. Pictures are amazingly real with the deepest blacks providing detailed shadow expression and vibrant color. Innovative Acoustic Surface technology delivers engaging sound directly from the screen. View content at 4 times the resolution of 1080p with this. Lower resolution video sources can also be upscaled. It has a 85 LED display and incorporates motion flow XR 960 technology to digitally enhance fast moving images to reduce blur. It has built-in Wi-Fi and ethernet connectivity to allow to the internet. Bass Reflex Speaker Design Sit back and relax. 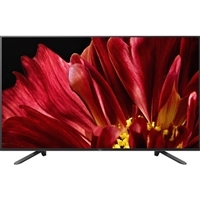 Its 4K HDR resolution provides exceptional detail and color contrast for brighter, crisper images, and its X-Motion Clarity technology shows smooth, lifelike motion without stutter or lag. Enjoy your favorite movies in vivid color with this 85-inch Sony TV. 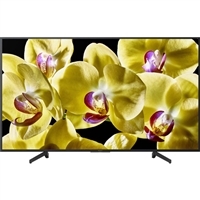 Its 4K resolution and HDR provide a clear, detailed picture with dynamic enhanced contrast and its Motionflow XR technology decreases motion blur during fast-paced scenes. This Sony TV is compatible with Google Home and Amazon Alexa for controlling its functions with voice commands. Experience unparalleled realism on this 4K HDR television with innovative OLED screen - Picture Processor X1 Ultimate and Acoustic Surface Audio+ sound. 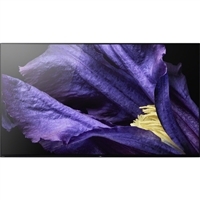 View content at four times the resolution of 1080p with the Sony X800G 75" Class HDR 4K UHD Smart LED TV. It has a 74.5" LED display and incorporates Sony's Motionflow XR 240 technology to digitally enhance fast-moving images to reduce blur. HDR10 and HLG compatibility provide a wide color gamut for compatible content. If TVs are measured on picture quality, then the Sony Z-series stands alone. Near perfect black levels combine with the ability to reproduce the brightness and color of the real world, while your favorites get upscaled and enhanced to look like 4K HDR . It's a viewing experience that can't be replicated. 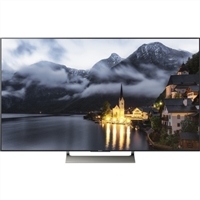 View content at four times the resolution of 1080p with the Sony X900F Series 85" Class HDR UHD Smart LED TV. It has a 84.6" LED display, and incorporates Sony's Motionflow XR technology to digitally enhance fast-moving images to reduce blur. HDR10 and HLG compatibility provide a wide color gamut for compatible content, and Dolby Vision HDR support is scheduled to be made available via a future firmware update. blacks providing detailed shadow expression and vibrant color.